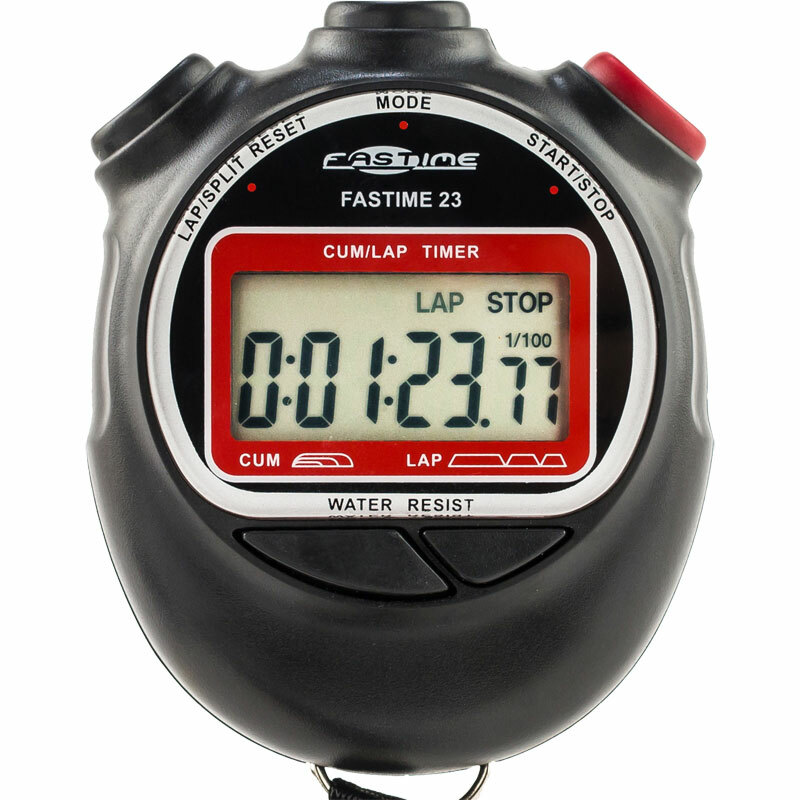 The Fastime 23 Stopwatch is a cumulative split stopwatch ideal for circuit racing of any kind including karting, bike racing, track and field events. Suitable for professional use. Size L 70mm x W 60mm x D 18mm, Digits 9mm.